Julian Assange's hacking offences revealed in Australian court documents !! IN 1991, using just a "simple, basic computer" from his home in suburban Melbourne, a young Julian Assange created a program that allowed him to access about 11,000 computers belonging to the giant Canadian telecommunications company Northern Telecom. New details of the WikiLeaks founder's early computer hacking-related offences have emerged in court documents released toThe Australian under an application to the Victorian County Court. 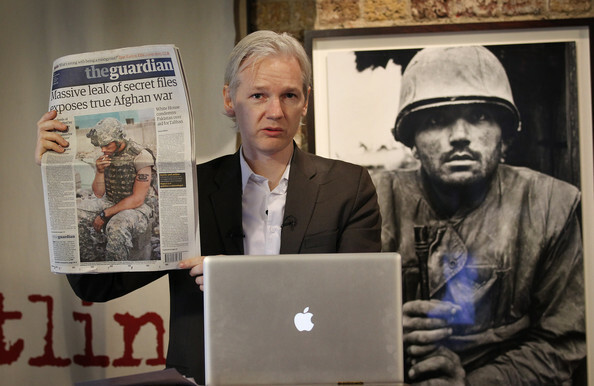 The documents include a transcript of Mr Assange's 1996 pre-sentencing hearing for 24 computer-related offences, including accessing a server of Northern Telecom. While offering an insight into his unstable childhood, the documents also show the controversial website creator already displayed remarkable computer skills in his early adult life. In its submissions to County Court sentencing Judge Leslie Ross in December 1996, the prosecution described Mr Assange, then 25, as a far more sophisticated hacker than two other men charged with him. Five years earlier, the court was told, Mr Assange had gained access to a computer server belonging to Northern Telecom and through that portal he could access another 11,000 computers linked into the network. He did that by creating a program that worked by "throwing millions of numbers around until he hit on one", eventually obtaining more than 1000 password files for the network. The prosecutor told the court: "In over 100 of the computers, (Mr Assange) had root access to those computers, which meant he didn't need any further password -- he had the key to the door, if you like. He could have gone anywhere that he liked and he was in those systems for quite some months before the systems' administrators detected his presence." When the Toronto-based Northern Telecom administrators eventually detected the presence of Mr Assange, the website creator watched on as they attempted to catch him out -- at one point forcing the exclusion of an administrator from the network who "got very close to catching him", the court heard. Mr Assange's defence lawyer, Paul Galbally, told Justice Ross the computers that were used "were really just old-fashioned, small computers". "One of the motives for these offences was that by leading on to these major computer sites, it gave you the power and enabled you to move from one site to the other," he said. Justice Ross said he was satisfied Mr Assange had not used his skills for personal gain and so he would not hand down a jail sentence, instead ordering him to pay a reparation order of $2100. But after being sentenced, Mr Assange told Justice Ross claims made by the prosecution in his sentencing were false: "I feel a great misjustice has been done and I would like to record the fact that you have been misled by the prosecution."